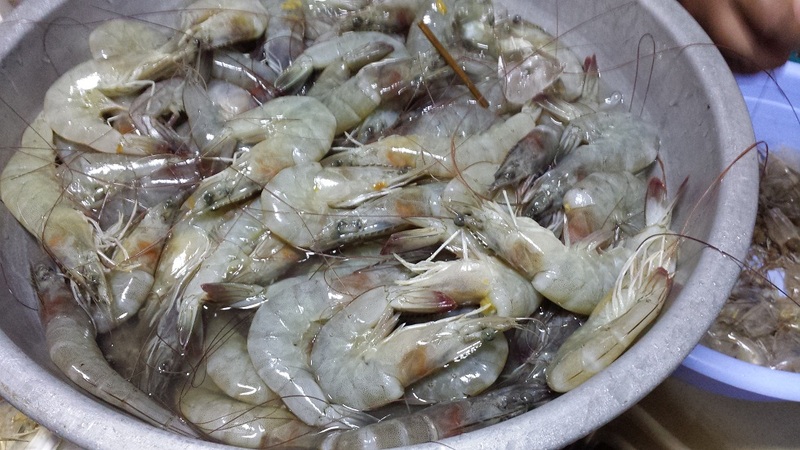 We had 5 kilos of shrimp to be prepared for Christmas day and it was going to be peeled. I told mom to clean off the heads and I will make some soup of out of. She went that extra step and removed most of the head, keeping only the suckable parts in the mix. I then made soup following this same recipe. 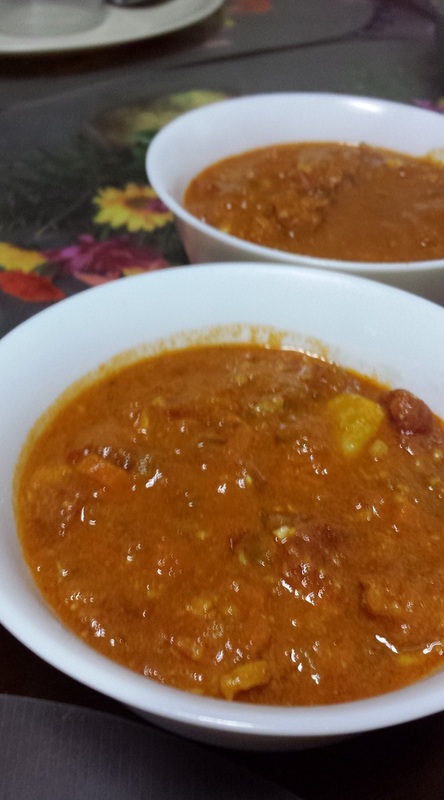 And since I like it chunky, I kept the tomatoes and vegetables whole and it provided a lot more chewing while eating the meal. The great thing was it was really good. Hearty 🙂 But the bad thing was I ended up getting allergies from it that mom decided to get rid of the soup altogether after. To think I was the one who made it. I am not usually allergic to shrimp, and started eating it again days after (we had some leftover from the Christmas lunch) and I was fine. So I really don’t know what happened then.